This twin room features a view, tile/marble floor and air conditioning. 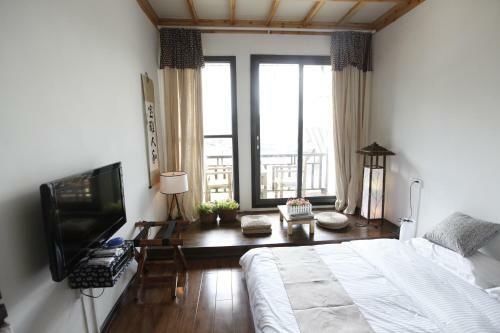 This twin room features a balcony, sofa and flat-screen TV. 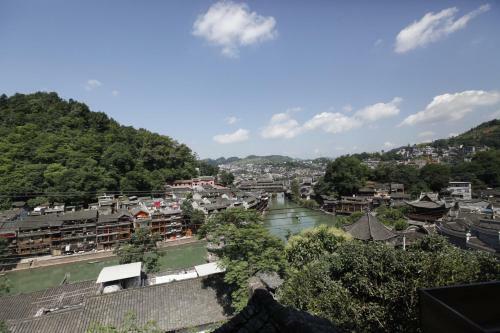 Yinji Inn is located in Fenghuang. Free Wi-Fi access is available. Each room here will provide you with a cable TV and an outdoor seating area. Featuring a shower, private bathroom also comes with a bath or shower and a hairdryer. You can enjoy mountain view and city view from the room. Extras include an outdoor seating area. 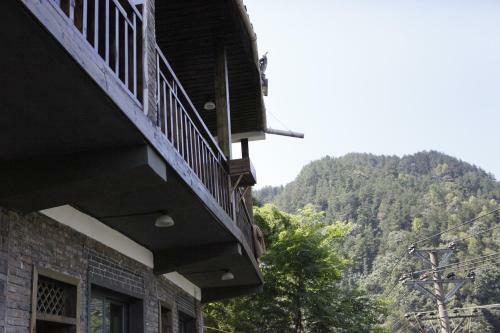 At Yinji Inn you will find a terrace, a shared kitchen and a mini-market. Other facilities offered at the property include a shared lounge, a ticket service and a tour desk. Front desk is very helpful and the location is perfect. They ca help you to book bus tickets. J'ai trouvé des fourmis dans la chambre qui grimpaient dans mon lit...2 choix pour le petit-déjeuner: nouilles ou sandwich "occidental", c'était un peu frugal. Great staff and great view with balcony. They all speak a little of English. Nice breakfast for China. I'll recommend this hotel. Just 5 min from the center but sufficient close to be far from the crowd. It is centrally located within Fenghuang overlooking the river , very close to the places of interests & amenities and complete with the Inn's excellent service level. A bullet train station pickup would be very helpful to tourists as finding the inn location takes us some time including lugging our luggages walking 50 meters as well as going up the steps leading to the Inn. Lovely location and amazing view from the terrace ! Perfect location with amazing view of the old town from the terrace ! Steps aways from the town (only crossing the street and taking the stairs in front). Heater and wifi are working good. Friendly and helpful staff. Hotel can arrange your taxi until the bus station (around RMB20). Breakfast is basic but good. Good value for the price, recommended. Rooms are a bit smelly and it's little bit hard to find the place. No sign with english name. Hotel staff are quite friendly and helpful. Need t go upstairs. Not suitable for old people. Excellent hotel, with helpful personnels and nice view of the city. Personnels aimables. Chambre charmante avec un grand balcon à partager avec 2 autres chambres. 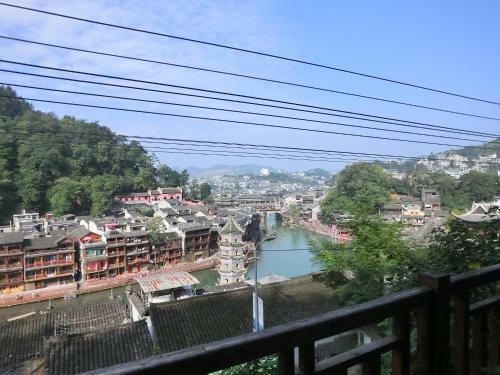 Très bel vue de Fenghuang. Service de reservation de taxi et achat de billet de bus nous étaient très utiles. On a adoré la chambre, l'accueil qui parlait pas trop mal anglais, le lieu avec la vue... L'emplacement très bon on est très vite du côté de la rivière (en descendant les escaliers, traversez la route et descendre dès que vous pouvez vous devriez voir une rampe ou escaliers je me rappelle plus). Le petit dej choix entre nouilles et porc ou sandwich club avec omelette mayo tomate et d'autres choses... c'est pas top mais c'est quand même un petit quelque chose. Excellent rapport qualité/prix!!! The bath and the balcony with the city view make wow-effect. The bath and the balcony with the city view make wow-effect. The hotel is very close to the ancient town centre. 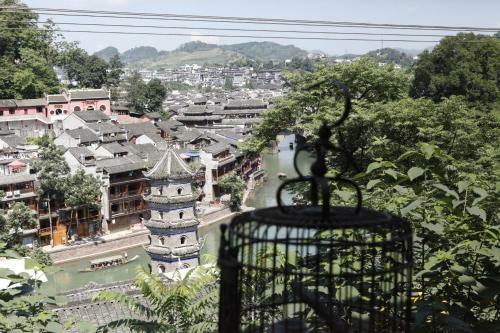 Glad we chose this inn in Fenghuang! 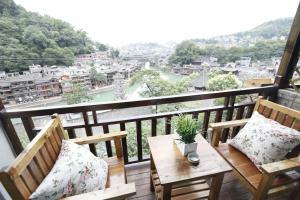 Good bed, great location, nice view over town, nice balcony, short way to attractions but not directly inside noisy town. Very helpfull staff, bought bus ticket. 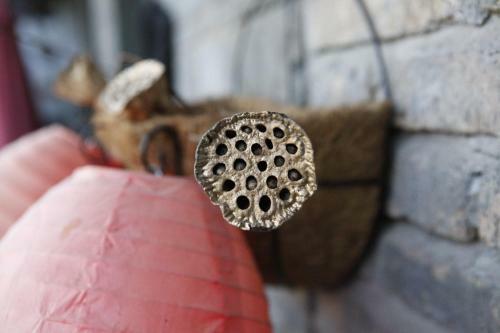 Difficult to find, no english name outside. Even taxi driver did not know. La terraza tiene unas vistas espectaculares, se ve casi todo el pueblo. La habitación era correcta, el baño bien, eso si, la separación de ambos es unicamente por una cristalera con una cortinilla. La cama era muy cómoda. La ubicación es muy buena. El baño no tiene separación de la ducha y el suelo estaba mal nivelado por lo que después de ducharte, todo el suelo quedaba empapado. Las puertas de la habitación eran cristaleras correderas que no cerraban del todo bien. El desayuno es escaso y malo(¡¿fruta con mahonesa?!) No acepta pago con Visa ni Mastercard, solo efectivo o UnionPay. Месторасположение, отзывчивый персонал: организовали трансфер из аэропорта в отель и из отеля на ж/д станцию, персонал говорит на английском, прекрасный балкон в номере с видом на старый город. Старая сантехника в номере, скромный завтрак (очень), окна не закрываются плотно, слышно все что происходит на улице, отдохнуть невозможно.